Ahead of the Vibrant Gujarat Global Summit 2019, the Gujarat government announced the much-awaited textile policy. The state government unveiled a slew of measures to boost the industry; from credit-linked interest subsidy on loans, subsidy on power tariffs, incentives for complying with water conservation and environment pollution norms to doling out benefits for setting up textile parks. The policy 2019 will also provide assistance in technology upgradation, environmental compliance cost and setting up of textile parks. The textile sector is expected to reach US $ 250 billion by this year, which was around US $ 150 billion in 2017. In December 2018, Ministry of Textile released data of various Indian states and their contribution to textile and apparel export, in 2017-18. Gujarat stood second in the list, with its exports increasing by 7.03%. “The government analyzed the existence of all segments in the textile value chain and identified gaps in certain segments. 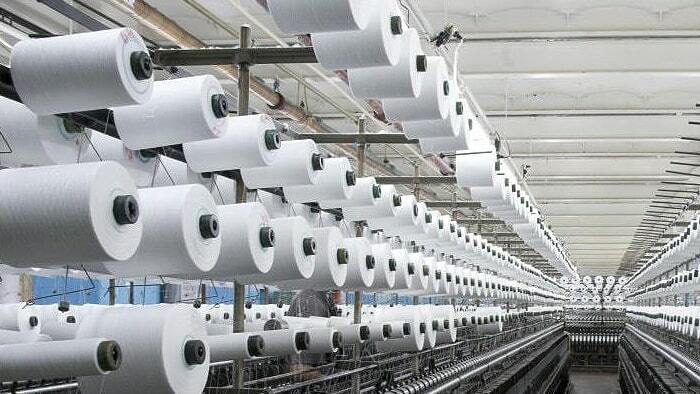 After careful consideration, the government has decided to come out with a new scheme to strengthen the value chain and extend support to textile industry in the state,” an official statement said. The new textile policy will benefit almost all the sectors including composite units, weaving, knitting, dyeing and processing, printing, technical textile, made-ups, and other manufacturing activities like embroidery, winding, sizing twisting and crimping. The new textile policy assures financial aid via credit-linked interest subsidy of 6% for micro, small and medium enterprises (MSME) and for large enterprises the subsidy would be 4-6% with an upper limit of Rs 20 crore a year. A separate provision for power tariff offers subsidy for weaving and other eligible segments up to Rs 3 per unit and Rs 2 per unit, respectively. The new policy and its benefits are valid for 5 years. A one-time financial support of about 50% of the cost with a limit of Rs 25 lakh for technology upgradation and modernization will also be given. The policy also supports setting up textile parks with financial aid of over 25% of capital expenditure on common facilities and infrastructure with a limit of Rs 15 crore. Textile park set up under this scheme can also receive financial support to build hostel facilities for over 100 workers within the park. The state government would also reimburse full amount of stamp duty paid on purchase of land required for the park. The new policy is focusing to create local employment. With the new policy, it is mandatory for beneficiaries to employ 85% of total manpower and 60% of supervisory and managerial staff. However as per the new policy, the state government has removed incentives for two key activities, ginning and spinning, which play a substantial role in the textile manufacturing value chain. According to the new policy, sectors like ginning, spinning and technical textiles gained tremendous growth during Gujarat Textile Policy 2012. Apart from the two key activities, the state government has covered the entire value chain under the revised support scheme. On the other hand, the incentives to investors would be in the form of interest subsidy, power tariff subsidy. The state government has also excluded garments and apparels from incentives scheme under the new policy. These two sectors have been given a separate incentive scheme under the Gujarat Garment and Apparel Policy, 2017 issued in October, 2017. Experts from the industry feel that keeping ginning and spinning units out may cost huge to the state government, as these units are the starting points of the value chain. The new policy will be effective retrospectively from September 4, 2018 to December 31, 2023. The last policy was expired in September 2018 after a year extension, which was introduced in 2012 for 5 years period. The previous policy was successful in boosting investment in the sector, and thereby, it generated employment in the ginning, spinning, weaving, knitting, apparel, denim and technical textiles sector. In order to boost business, economy and trade, the Gujarat government is organizing the Vibrant Gujarat Global Trade Show 2019 from January 18-22, 2019, at Mahatma Mandir, Gandhinagar. Gujarat is one of the most important states in India as far as the textile and apparel industry is concerned, where Ahmedabad is known for fabric and garment production and Surat is known as one of the biggest producers of man-made fabric in the world.